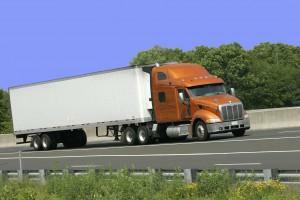 When your semi-truck is in need of assistance, you don’t want to use an inexperienced service. You need someone who understand load shift and other specialized concerns necessary for semi-truck towing. 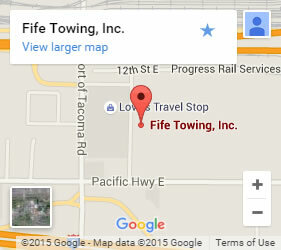 Fife Service & Towing offers experienced semi-truck towing in Federal Way and the surrounding cities, including the greater Tacoma and Puyallup areas. We have the heavy duty equipment and well-trained personnel to keep your cargo safe and handle any type of towing or roadside assistance you need. Our semi-truck towing professionals are each certified. As a family-owned local business, we stake our reputation on each job we complete. We are invested in our community. That is why we are dedicated to getting to you quickly and showing up fully prepared to handle whatever you need, from crane services to container transport and storage. Whether you are out of fuel, stuck in a ditch, or have broken down, our semi-truck towing service can get you back on your way. Our 24-hour dispatch quickly gets an available technician out to your location. We have a large service fleet, so there is always someone close by. We come prepared with the right type of towing vehicle or roadside assistance for your specific needs. That is why we have earned a reputation as the most trusted name in the area! Contact us today for your semi-truck towing in Federal Way or the surrounding areas. Don’t waste another minute!